Thanks! The Pelle is matched to the picture in my profile. Check out my customization with lettering kit provided by Gameday Sports Archives. I personally sewed this kit featuring Sylvain Turgeon's 1992-1993 Ottawa Senators CCM Pro Authentic Jersey. I just ordered the NHL 100th Anniversary Patch to complete the customization. I look forward to showing off my other customized jerseys. I hope you enjoy. Check out my customization with lettering kit provided by Gameday Sports Archives. I personally sewed this kit featuring Daniel Briere's October 9, 2002 Phoenix Coyotes KOHO Pro Authentic Jersey w/ Gretzky '99' Patch. Gallery updated with a couple of new additions. My gallery is in my sig. I might get around to organizing it better one of these days. Wow, good stuff! Love all the Ambassadors and Junior Wings stuff! Yeah those are definitely hard to come by. Actually had Paul Mitton offer to by his Ambassadors jersey from me at a Whalers game a couple of years ago. Couldn't do it though. They are such rare jerseys and being the first captains jersey in the history of the franchise, I had to keep it. I had my stuff hosted on Fotki but they have really s*** the bed lately so I moved all my stuff onto Flickr. 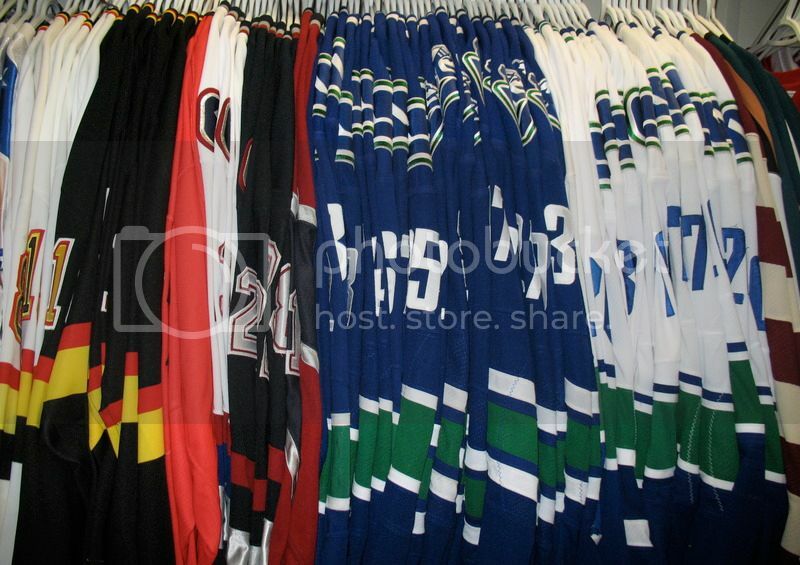 I also made galleries for each jersey and added a whole bunch of pics of each one. Could be useful for anyone looking to customize Leafs stuff. Anyways, links in my signature. Could be usful for anyone looking to customize Leafs stuff. So that's like no one. Some of my pictures from Fotki are still missing. Ugh. Looks good. I still have missing photos on Fotki also. I had my stuff hosted on Fotki but they have really s*** the bed lately so I moved all my stuff onto Flickr. I also made galleries for each jersey and added a whole bunch of pics of each one. Could be usful for anyone looking to customize Leafs stuff. Leafs nation my friend. Fotki can kiss my you know what.